Locally-owned and managed home care provider Home Instead Senior Care celebrated 10 years of providing home care to Waterford seniors with a corporate event supported by Waterford Chamber. Impressed by the Home Instead philosophy of providing world-renowned quality care to seniors in their own homes, Danette and Michael Connolly extended this philosophy to Waterford in 2009 when they opened Home Instead Senior Care Waterford at the Cleaboy Business Park. Managed and operated by a team of trained and dedicated care professionals, Home Instead Senior Care offers an array of senior care services such as light housekeeping, meal preparation, transport, companionship, personal care, dementia care, post-hospital care and disability care. Director of care Danette Connolly was delighted to celebrate this milestone. “Good quality home care is something we pride ourselves on, delivering to the seniors of Waterford city and county. As crucial as the right care package is for clients, the delivery of that care by the right people is paramount. Today, the Waterford operation employs 20 office staff and over 120 CAREGivers, delivering thousands of hours of home care each week. Home Instead Senior Care has 1,150 offices around the world and is recognised as the world’s leading provider of non-medical, in-home services to seniors. 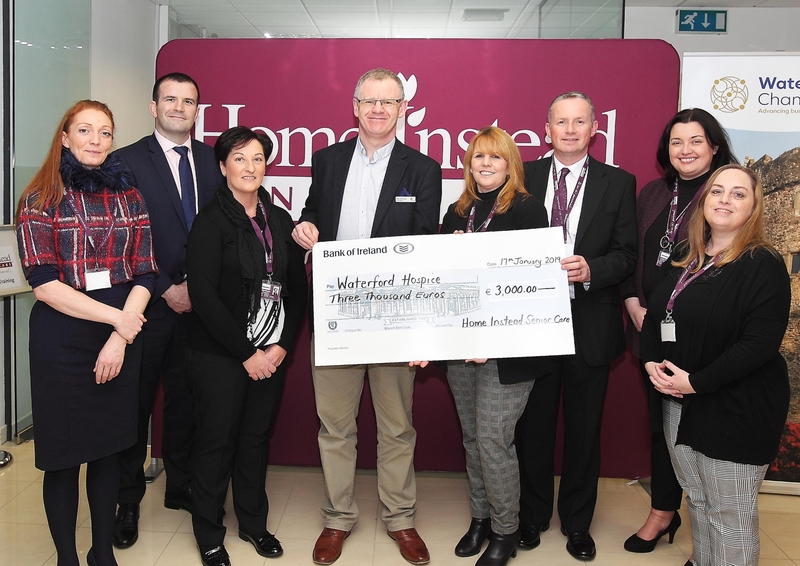 Former Ireland international and Leinster rugby player and Home Instead Senior Care director of franchise operations Shane Jennings congratulated the Home Instead Waterford team on their 10th anniversary. He said the Waterford office is held as the benchmark for Home Instead franchises throughout the country.